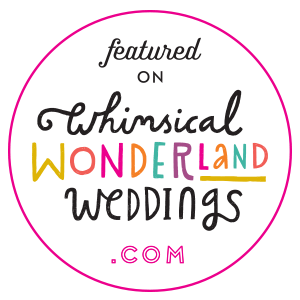 Thanks so much for agreeing to be featured on Whimsical Wonderland Weddings. We love featuring real weddings and respect every single image and couple that appears on WWW. It is a total honour. To give readers a brilliant insight into your big day it would be fantastic if you could fill out this form. What words would you use to describe your wedding?